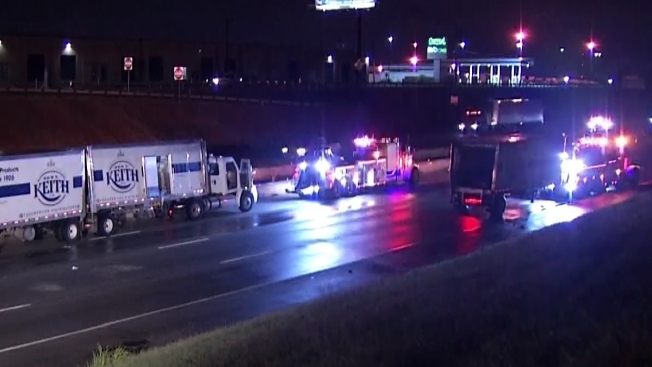 Northbound East Loop 820 has been reopened in Fort Worth after an 18-wheeler crash Monday morning, according to police. Authorities said the 18-wheeler crashed into a wall and rolled on northbound East Loop 820 near Sun Valley Drive at about 2 a.m. The road was reopened before 6 a.m.